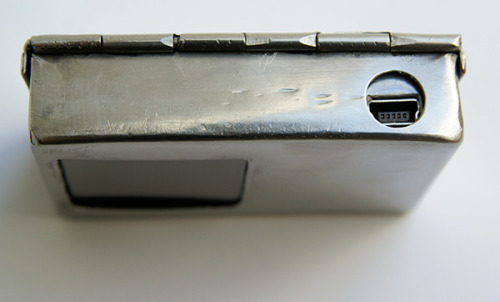 A photo viewer key ring dismembered and installed into a small tin. I removed the backlight from the LCD to make it transparent; allowing it to be held up to the sky. 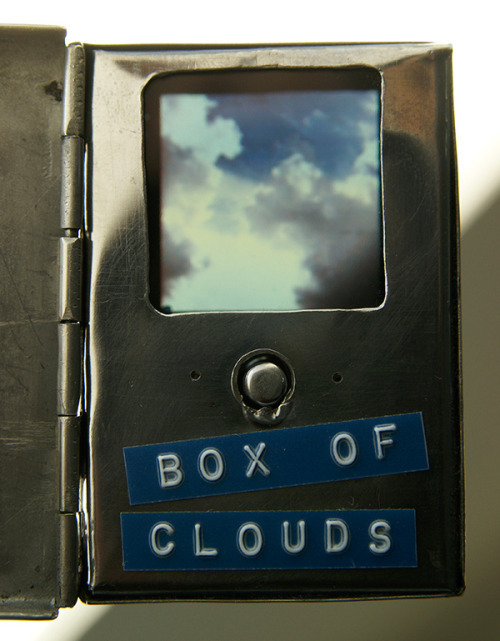 Images of clouds cycle automatically and the box is charged via USB.